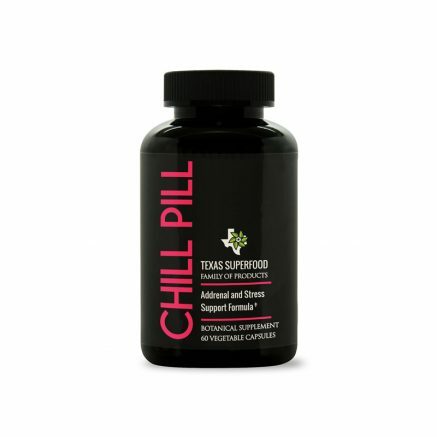 This is a wonderful supplement! 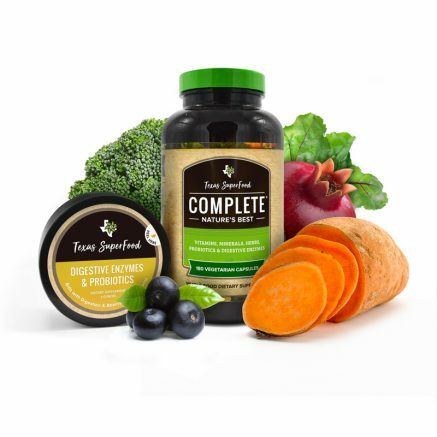 It’s great to see so many nutrients from organic food put into supplement form without all of the additives and preservatives and without an unpleasant taste. I have a rare genetic disease where I get vascular tumors. I believe that the healthier I keep my body by exercise and proper nutrition, the better my body will be. 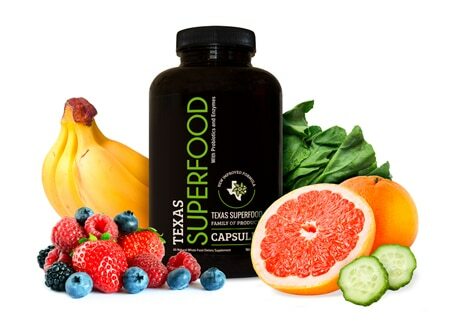 Somedays my diet is just not as good as it should be, on those days I can now feel confident that I am getting the nutrition that my body needs and deserves by taking Texas Superfood. Give me energy and hopefully weight loss. 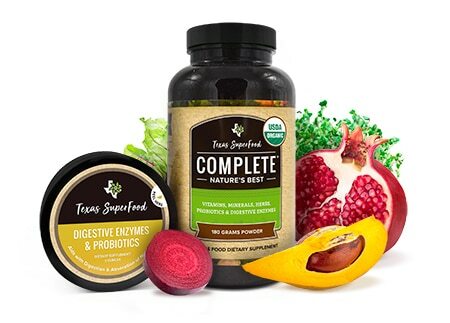 Give me more energy and aid in digestion while strengthening my immune system. 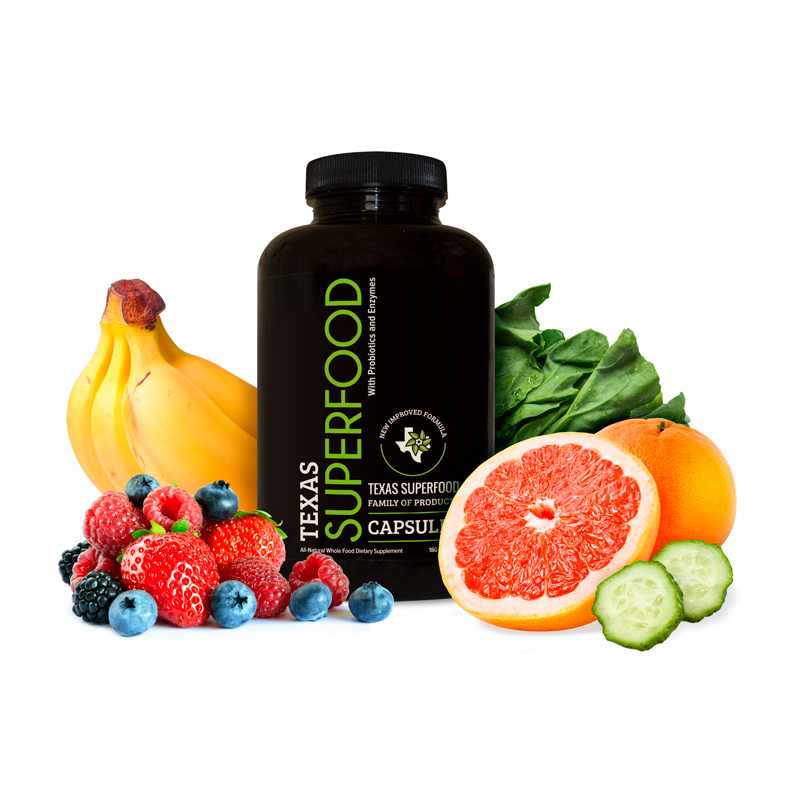 I have encouraged others to take the supplement. 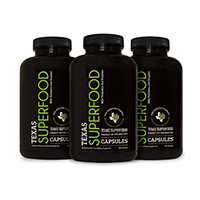 I am effectively halting other supplements and have noticed a change in how fast I recover from workouts, hiking, bicycling, and exercise, in general. I do truly believe that this is an important part of my diet. I am looking forward to improved results after taking it for a longer period of time. From what I understand, it will only get better. Gives me more energy, which it has and I just feel much better all the way around. 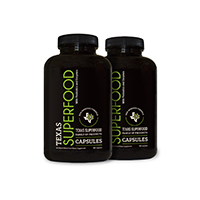 It is the first supplement I have tried that really gives me a noticeable difference. 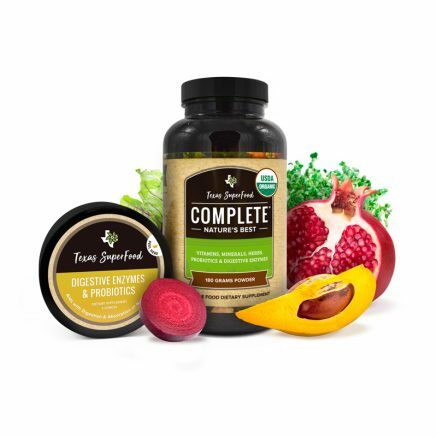 I really like the product and what it's done for my body. Provide me basic nutrition I was missing in my everyday diet. I’ve been feelin better than I have for a long time. Just to let you guys know, I love this stuff. I started on it June 11th. Texas Superiors gives you such a wonderful feeling. The energy you get is so uplifting. It helps me want to do things again. I have fibromyalgia and depression so being able to get up off the coach and do things again is awesome. My husband and I have both lost 20 lbs. 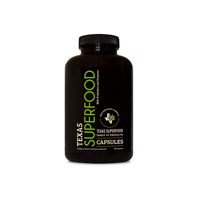 and we’ve only been on Texas Superfood a few months.